The coral cabochon measures 2cm in length. 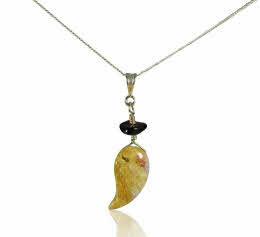 You will not receive this EXACT necklace, but one pretty much identical in size, shape and colouration. 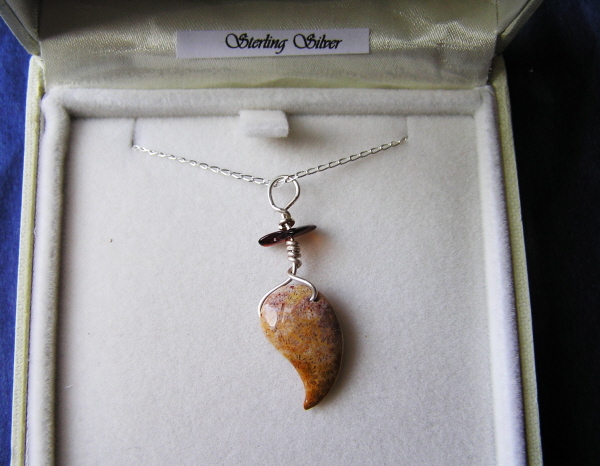 The top of the pendant also has a small polished Baltic Amber bead. and been strung on an 18 inch Sterling Silver chain. Boxed and Labelled in a stunning velvet lined jewellery box and gift wrapped in tissue paper.